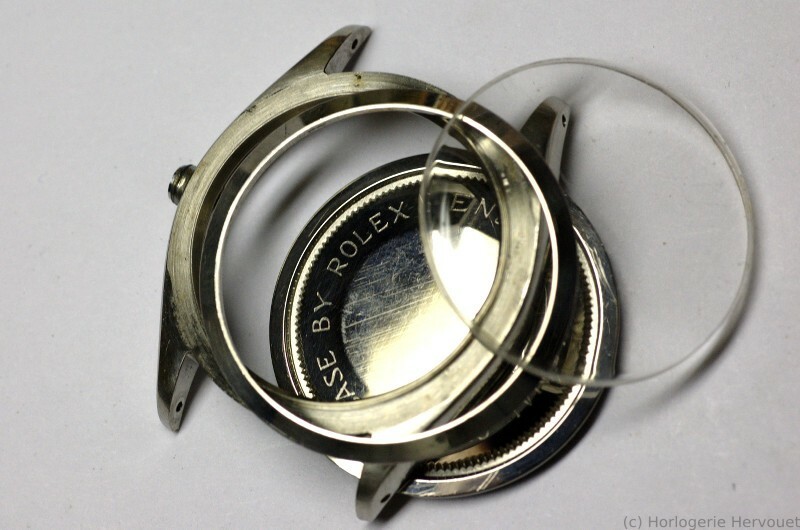 This 1953 Rolex was brought to the workshop as a family heirloom to be serviced. It is a ref. 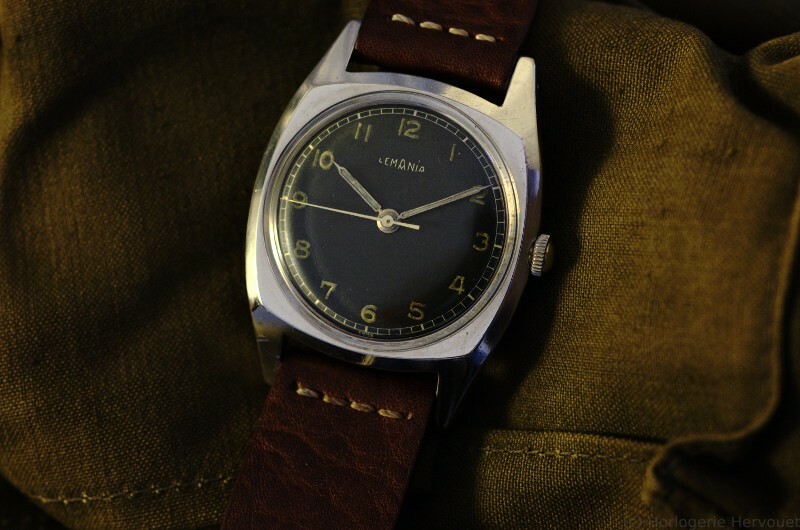 6084 with the chronometer grade cal. 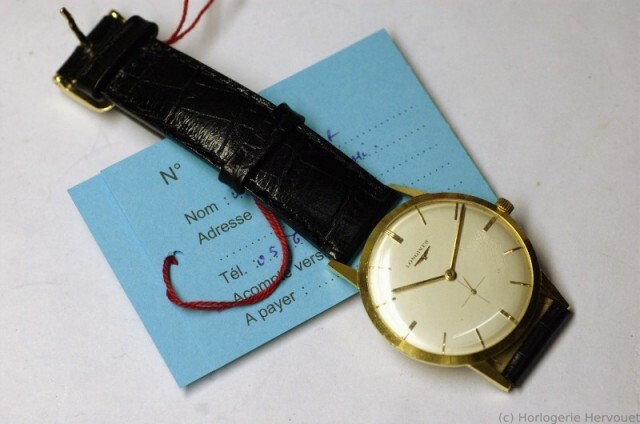 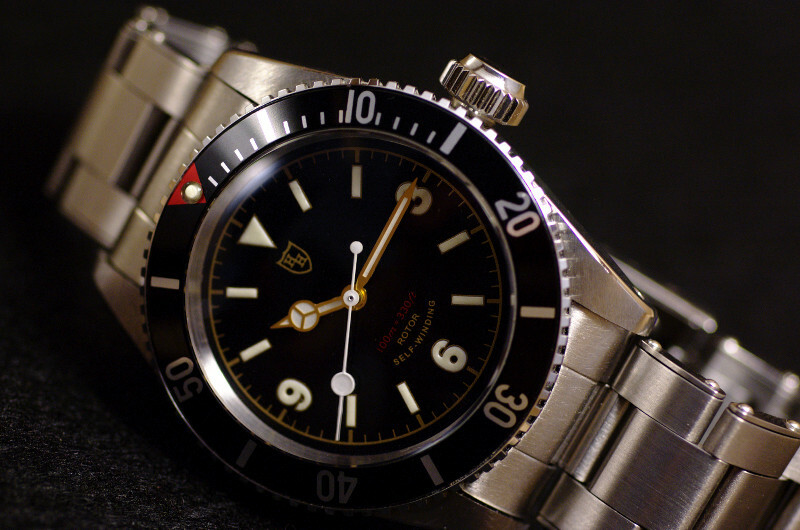 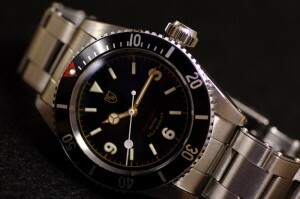 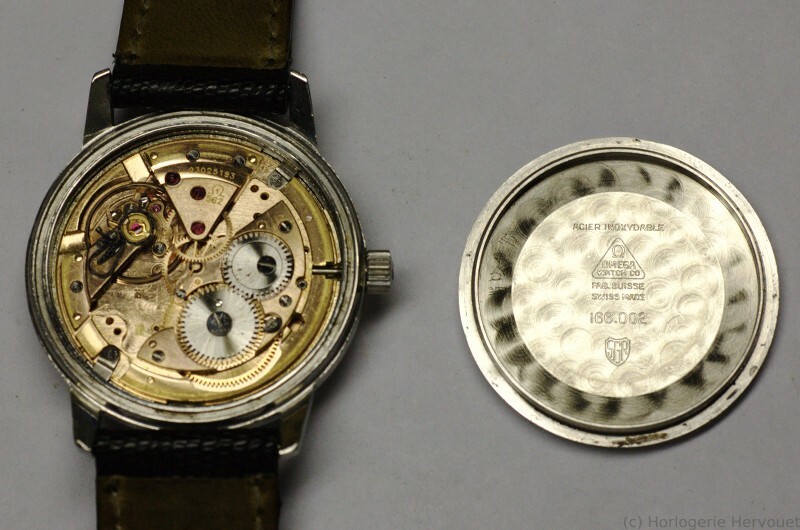 645 inside, nicknamed “Bubbleback” or “Semi-bubbleback” by the Rolex aficionados (because of the caseback shape). 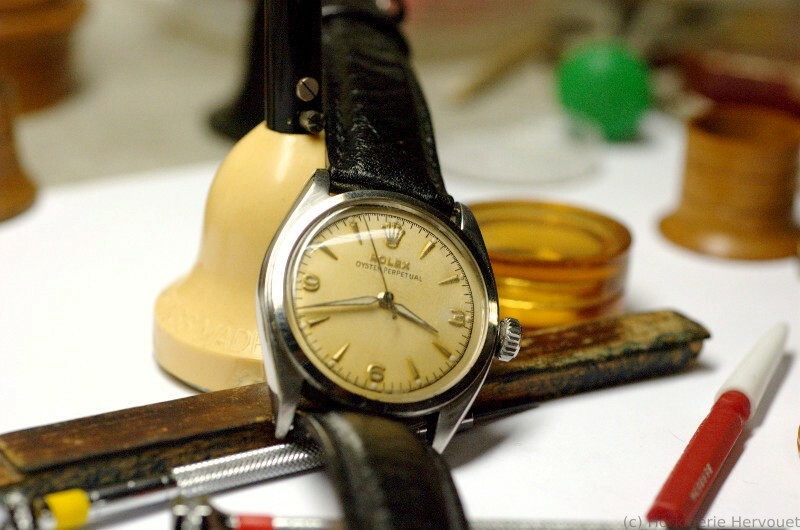 The dial has been refinished at some point, but the paint and varnish are yellowed and look already ancient. 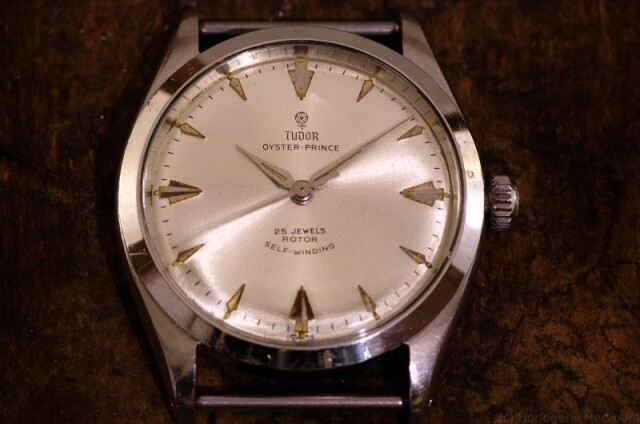 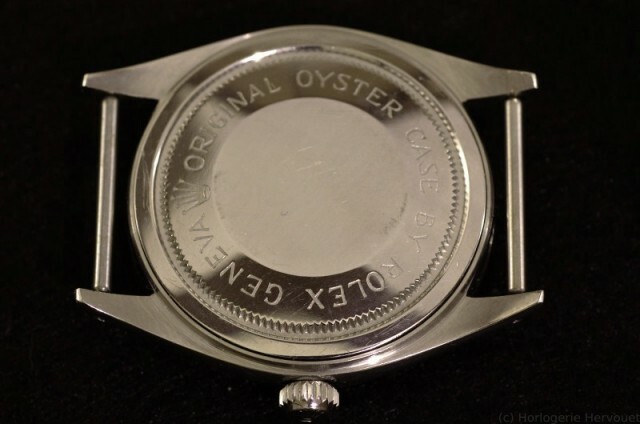 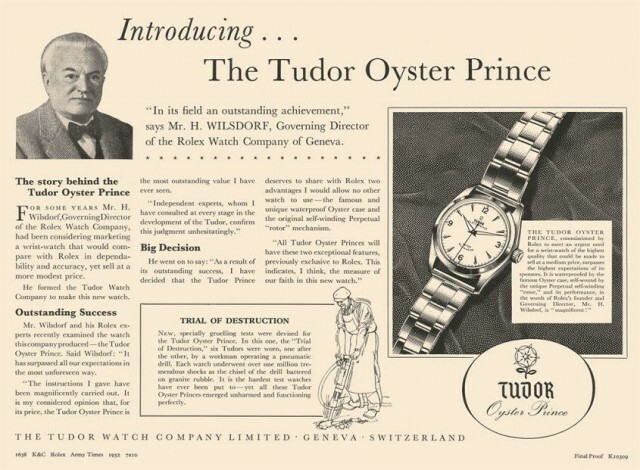 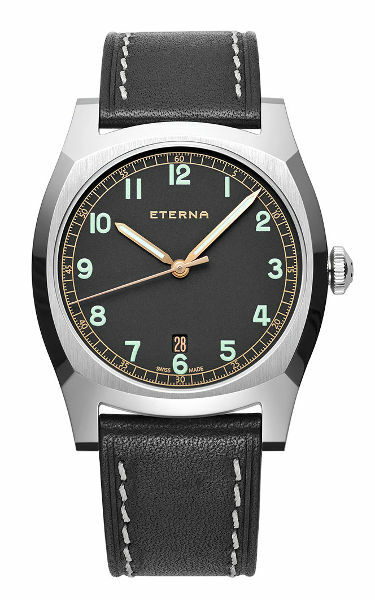 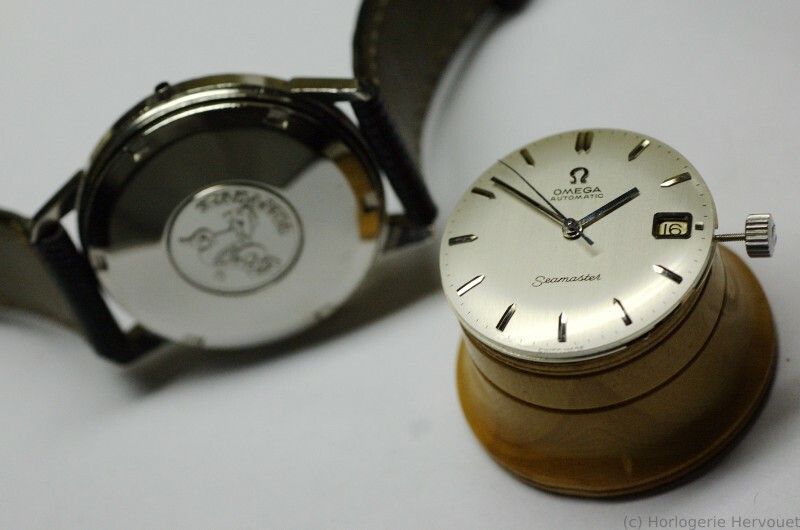 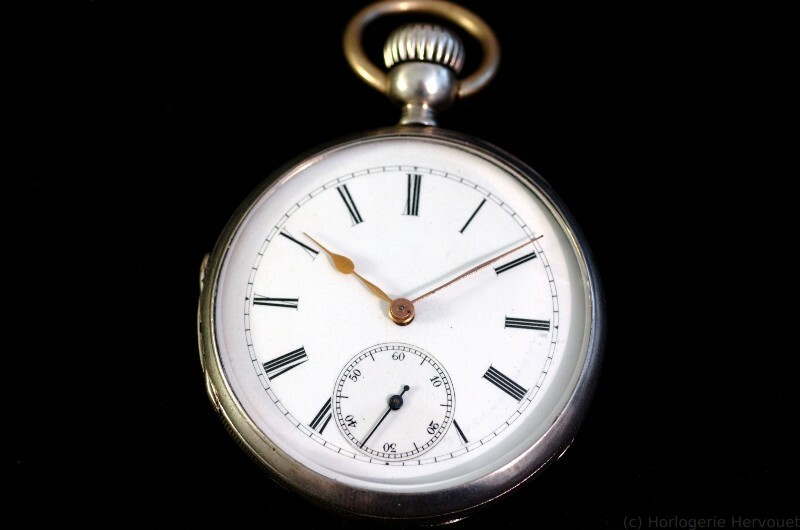 It does not have the “Officially Certified Chronometer” marking on the dial, nor the “Super Oyster” crown. 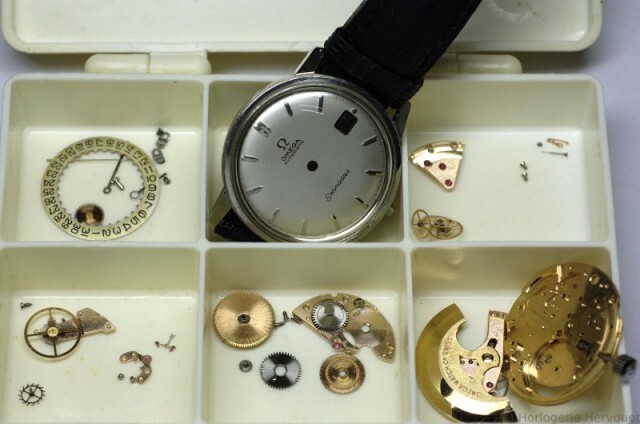 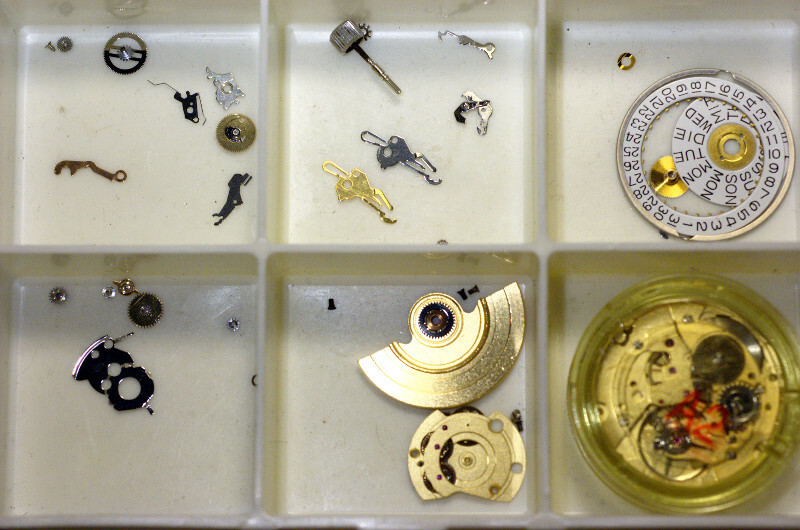 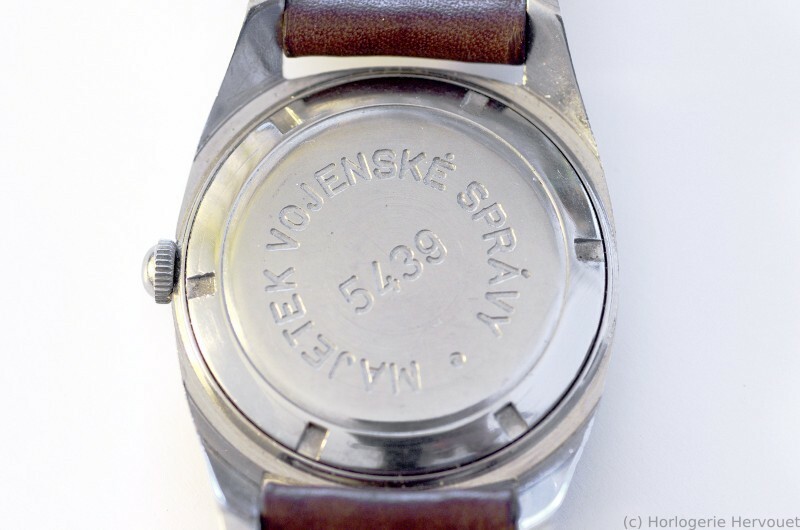 But there are marks in the caseback for 6 services, so anything could have happened. 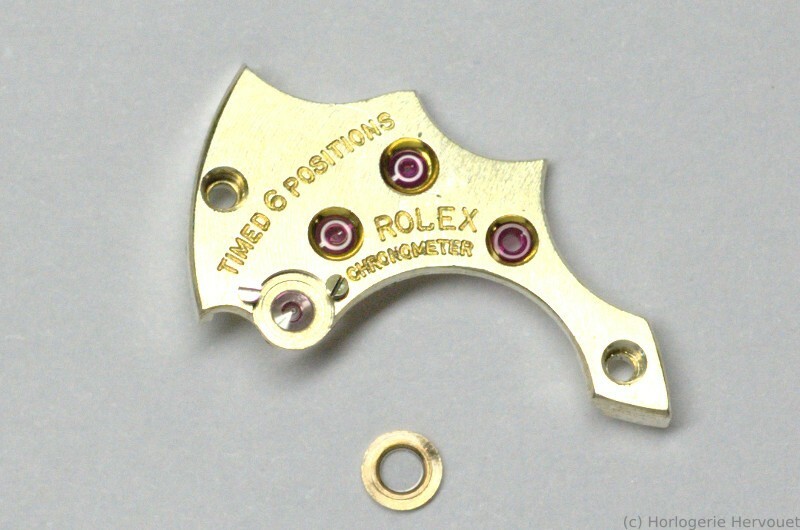 The layout of Rolex 645 is common for the 50s, with an indirect second. 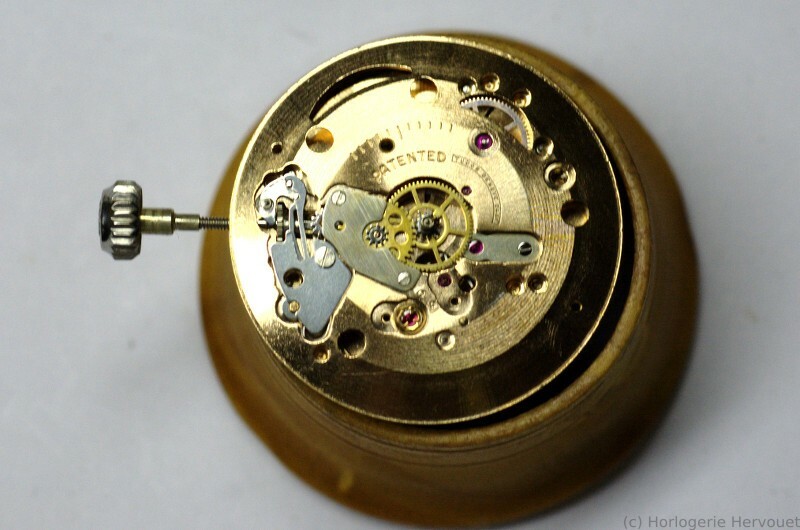 The friction spring is (as it is usually the case) a bit tricky to get in position. 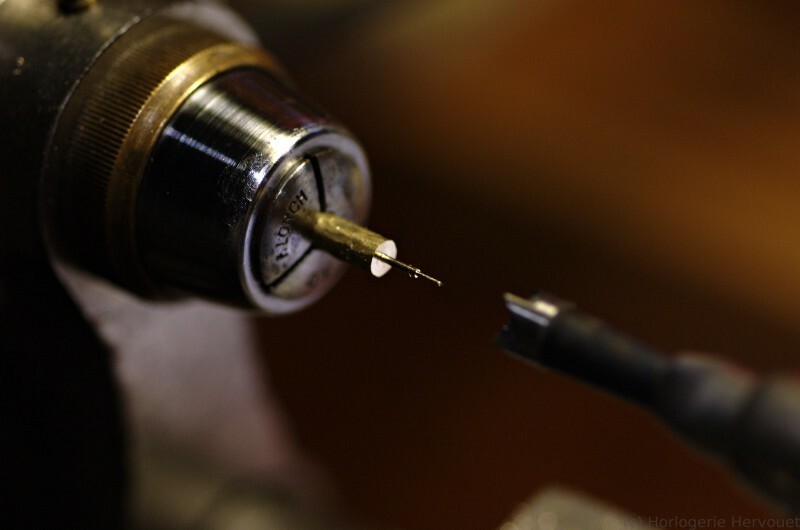 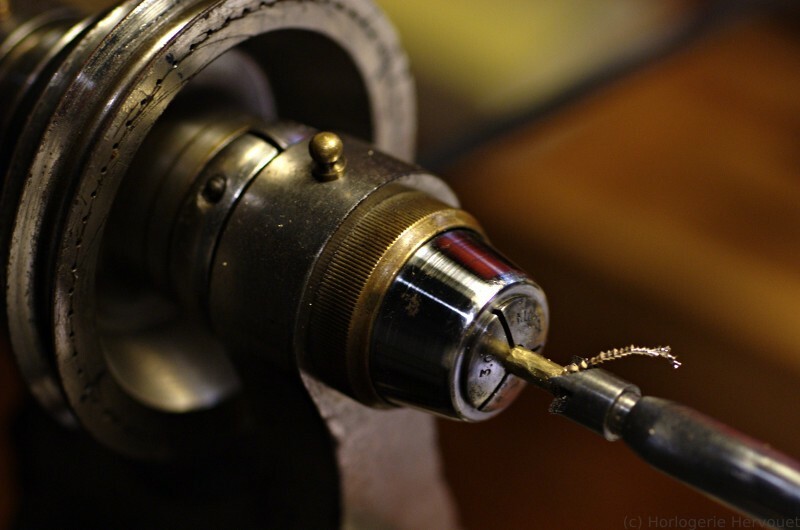 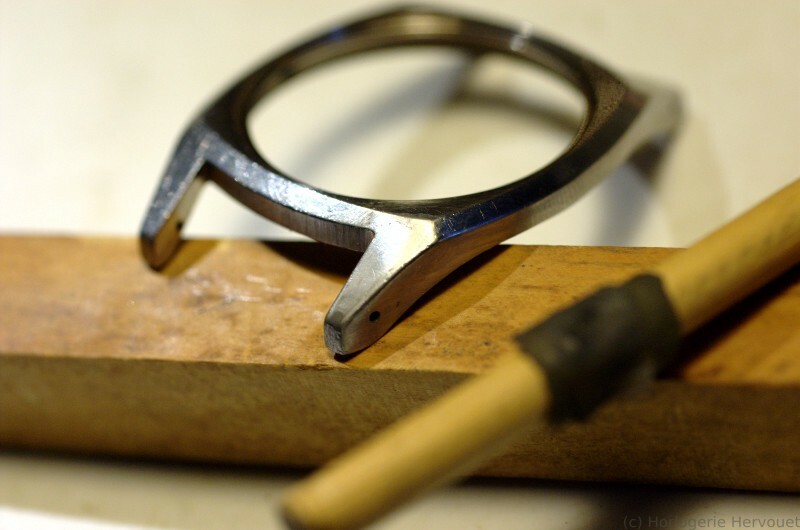 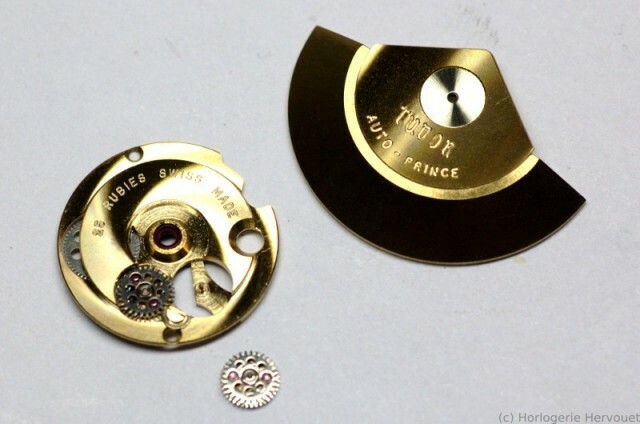 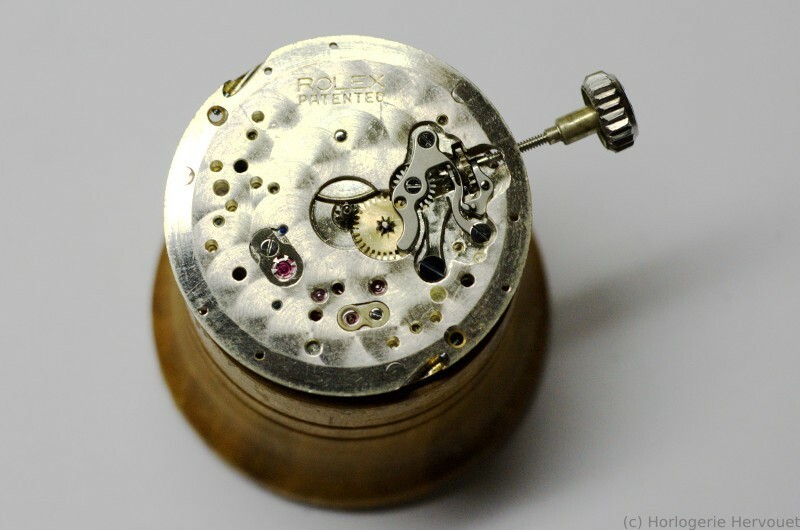 On the dial side, one can see and admire the setting spring, nicely angled and very frail. 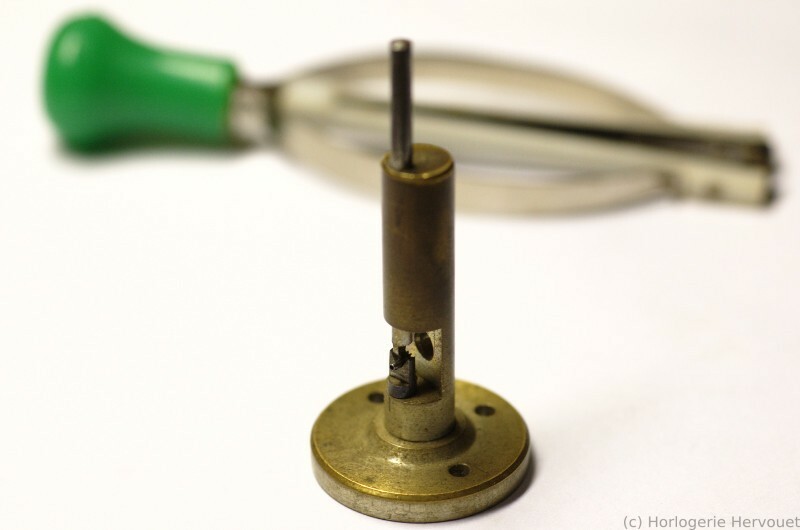 Also, the antishock device counter-pivots are different : dial side, inserted in a plate; bridge side, it is removed by gently turning like the Kif device. 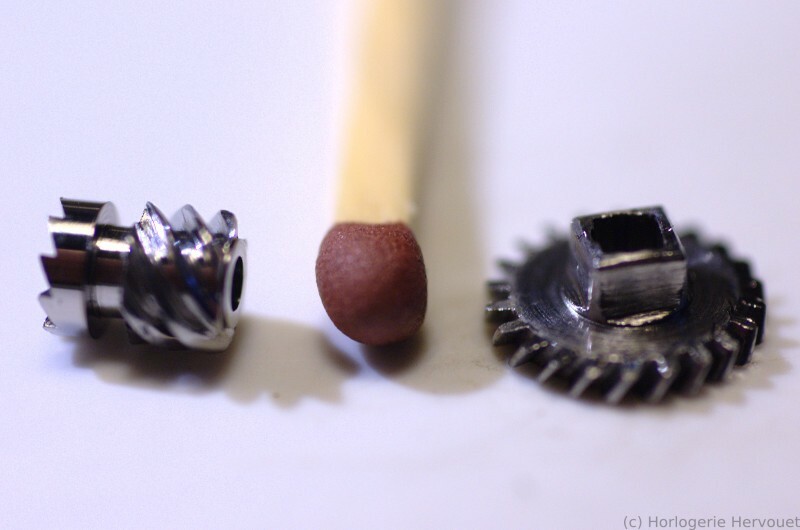 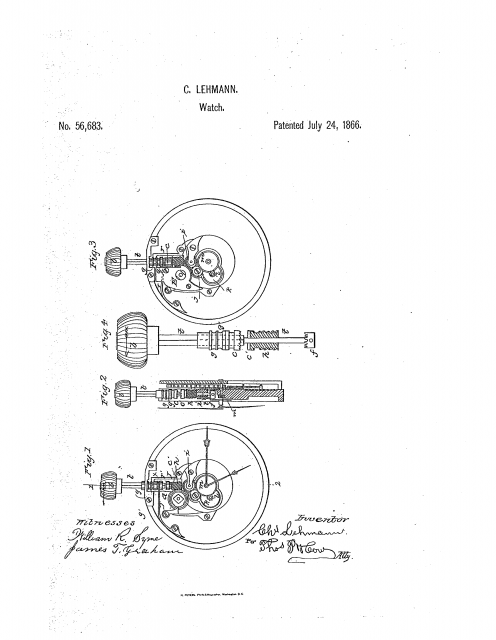 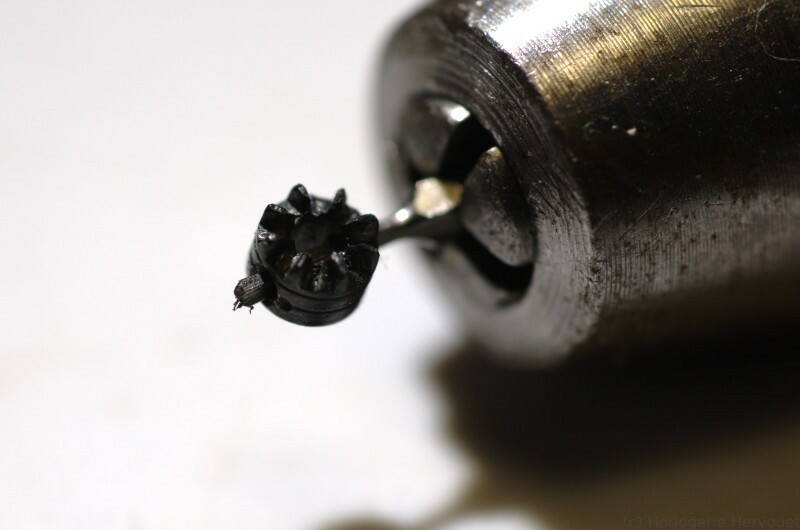 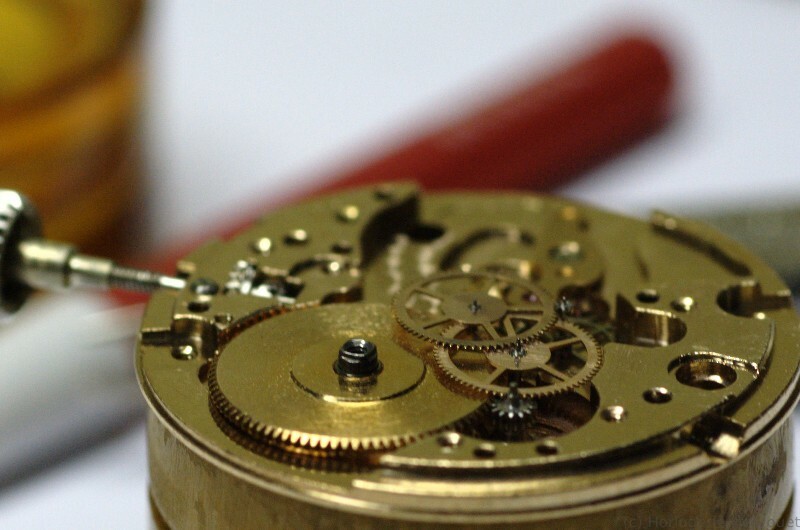 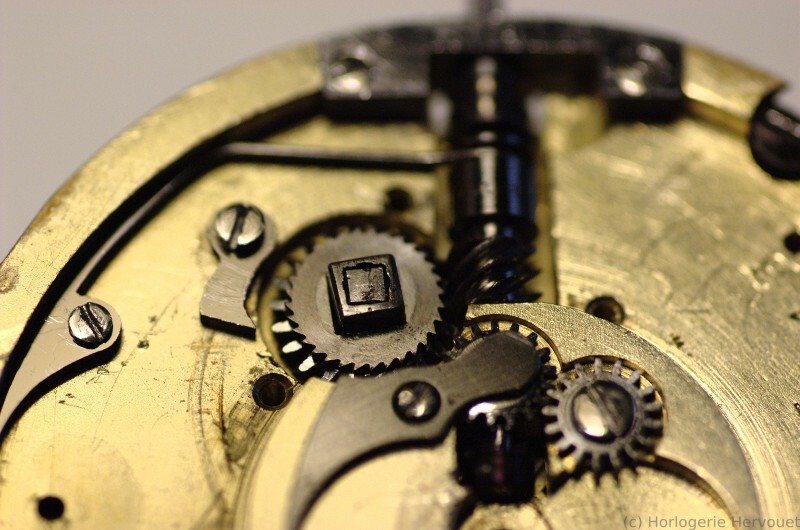 The winding device is unidirectional and use a rotor, allowing the oscillating weight to turn 360°; a modern feature at a time when most other automatic movements used “bumper” devices with partial rotation and less optimal winding. 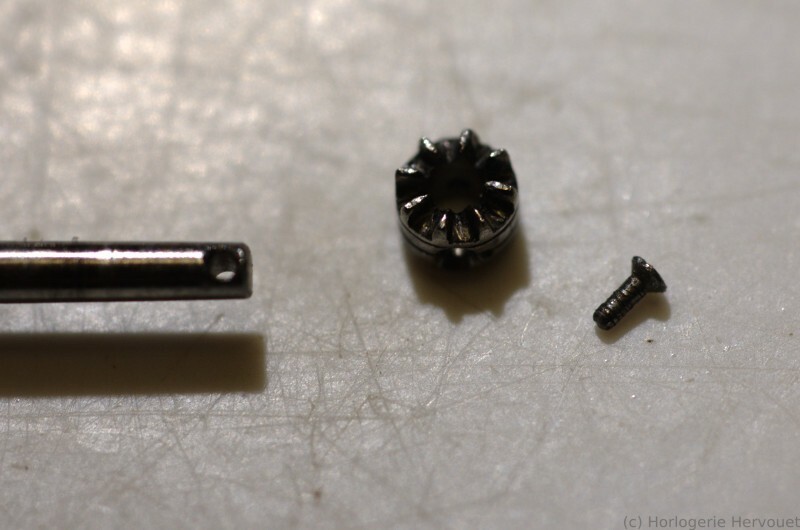 It is modular, the base caliber needs no modification other than adding some coupling parts over the mainspring ratchet wheel. 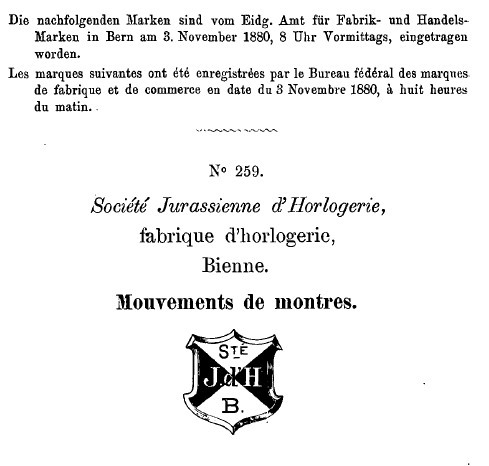 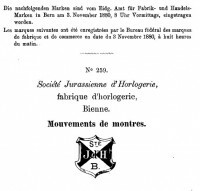 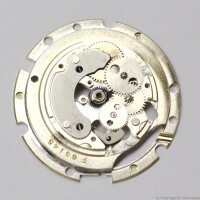 It also have its specific jewel count (2) engraved on the cover. 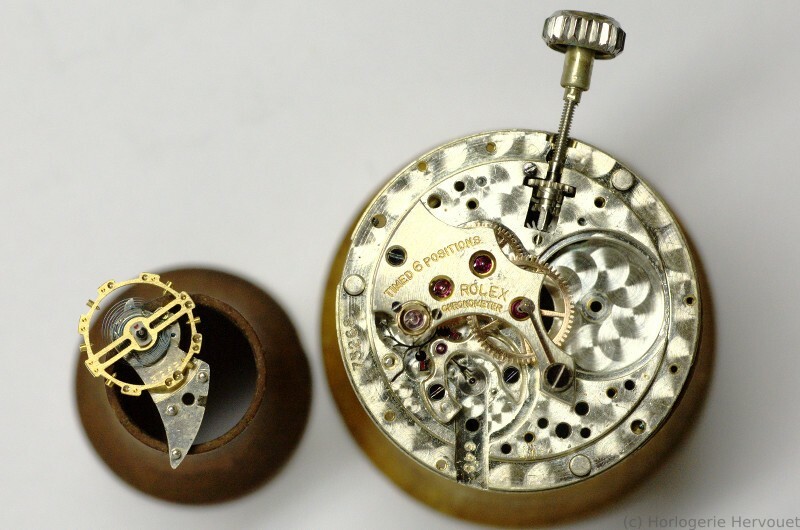 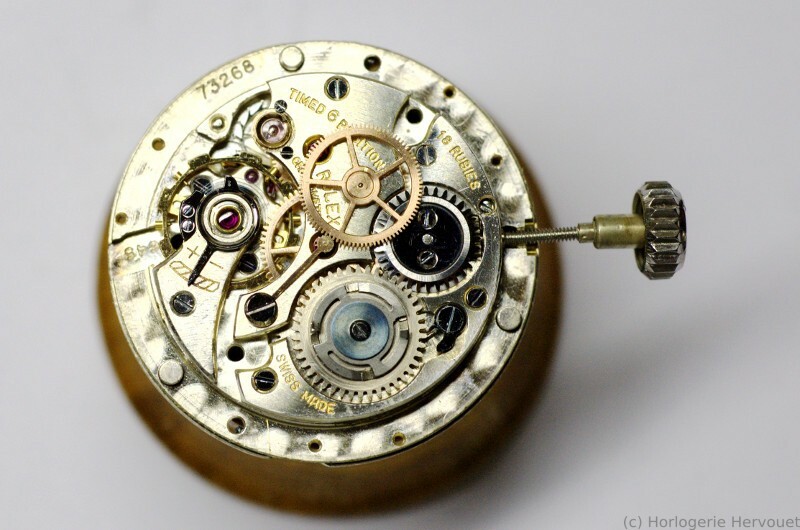 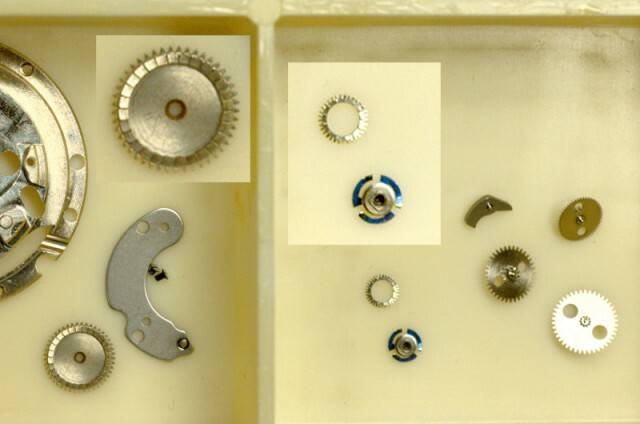 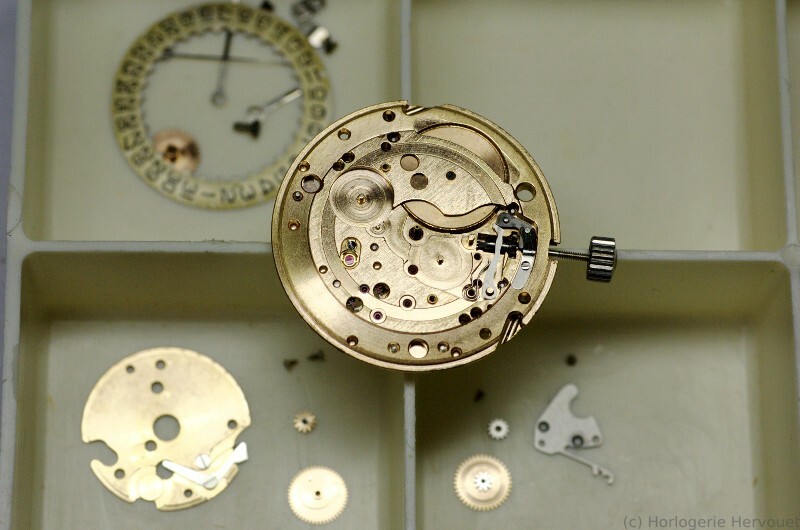 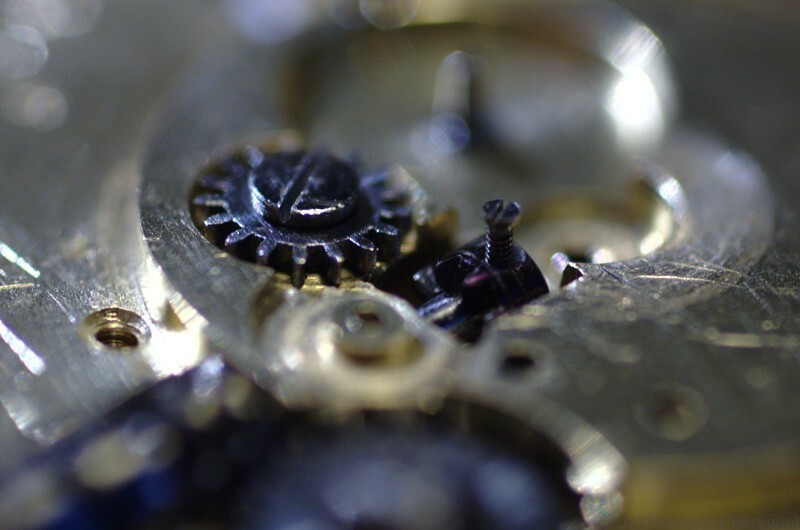 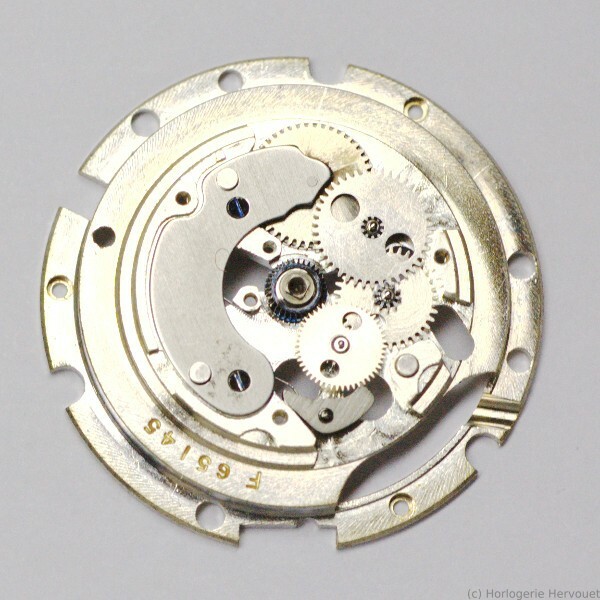 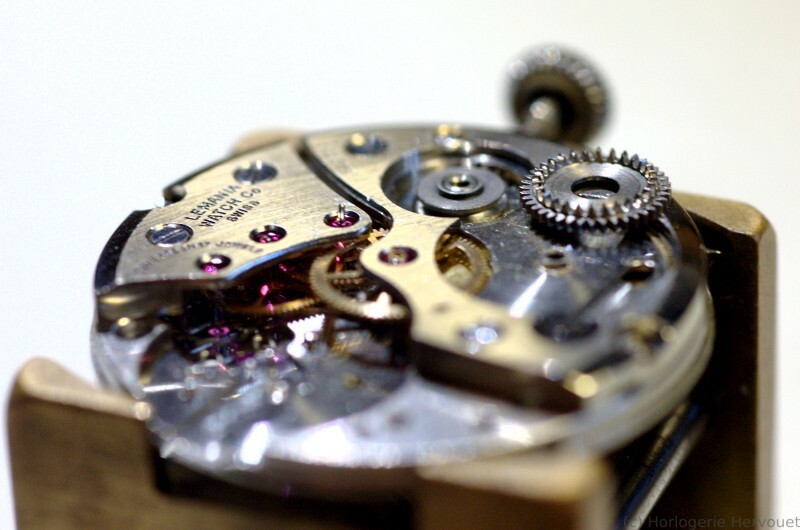 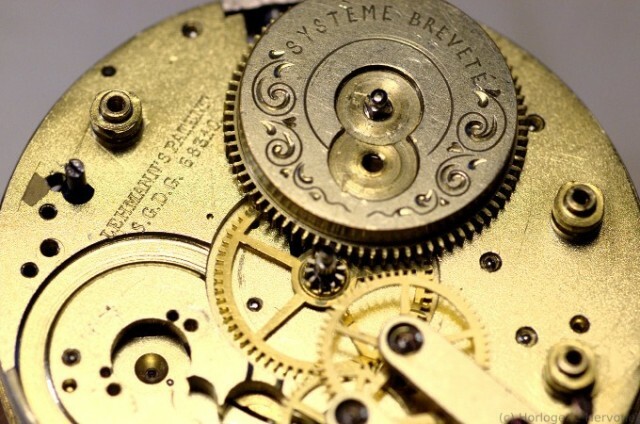 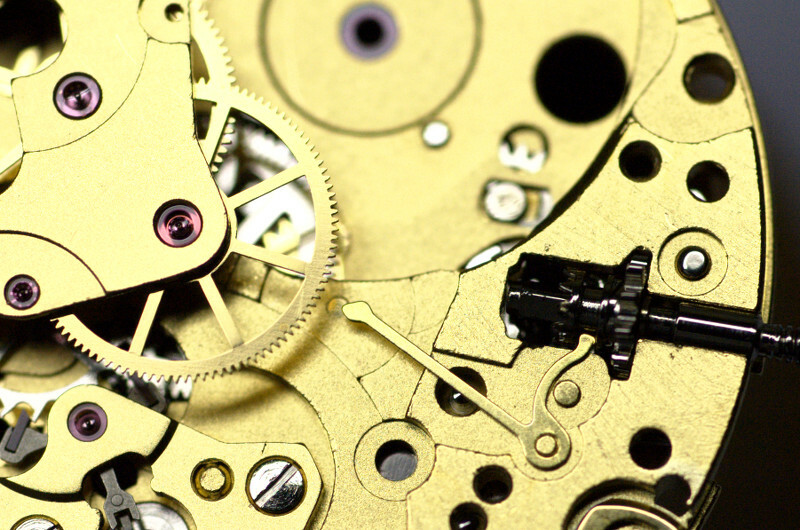 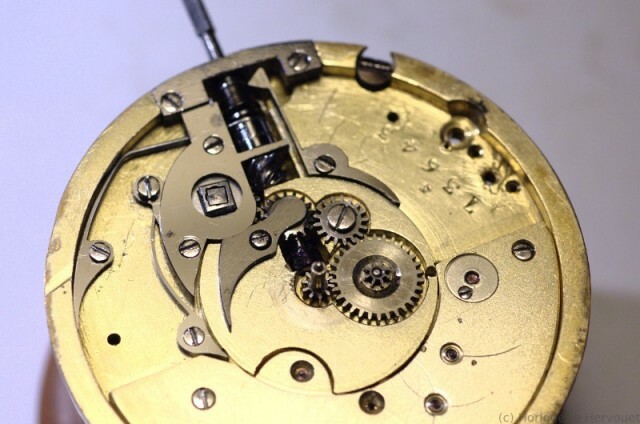 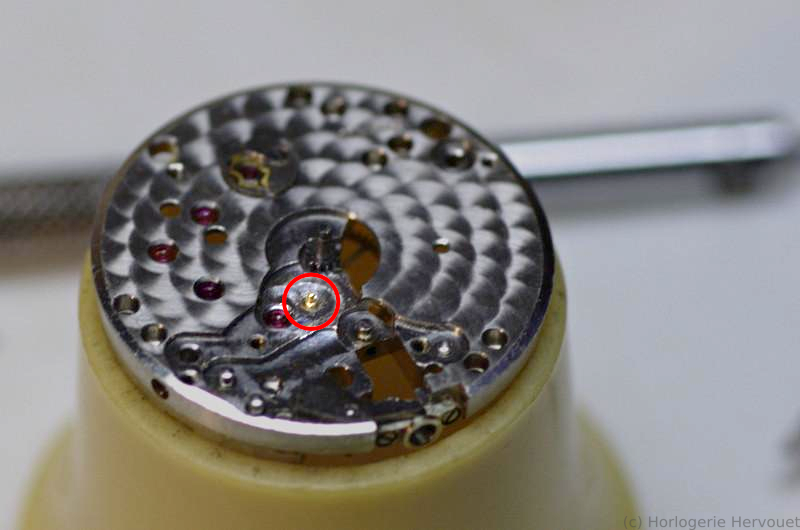 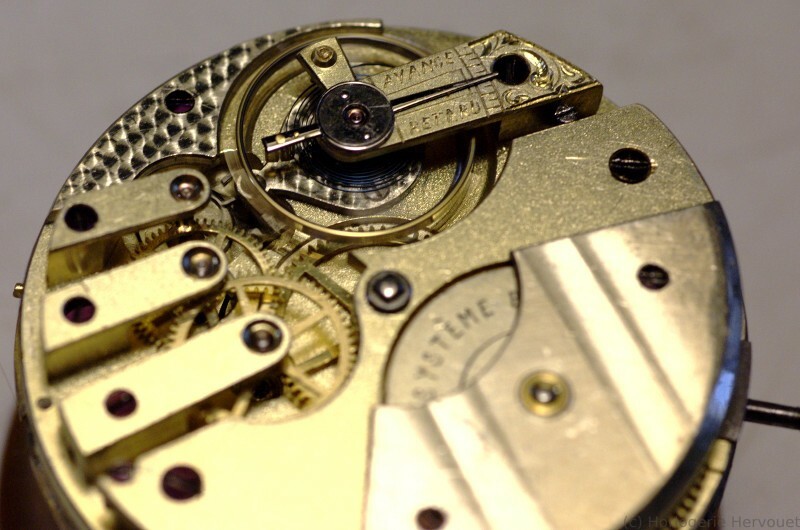 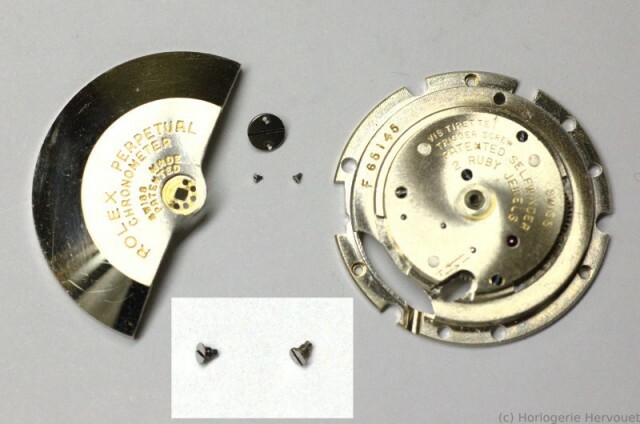 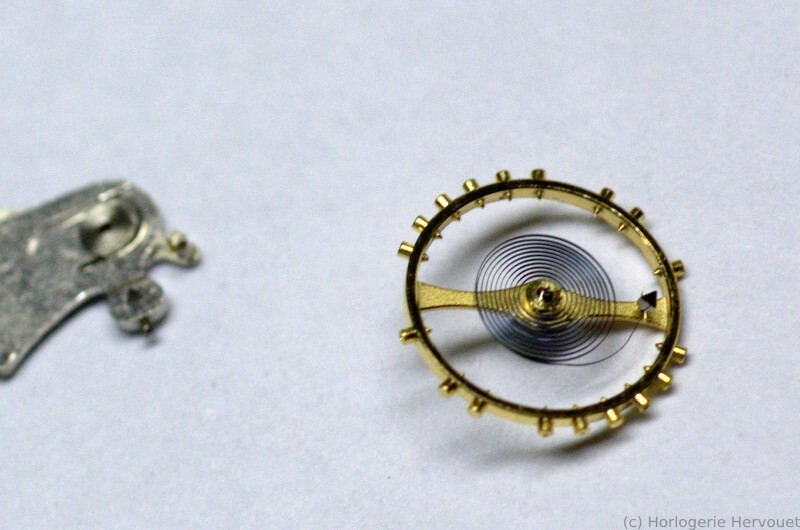 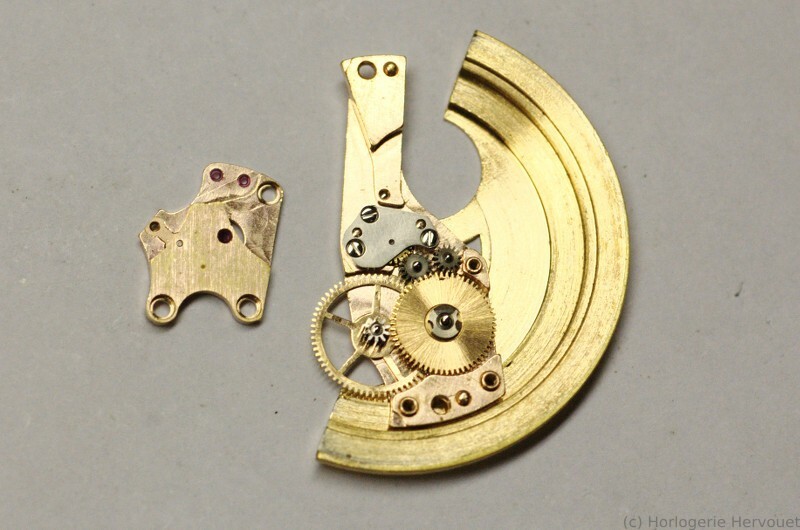 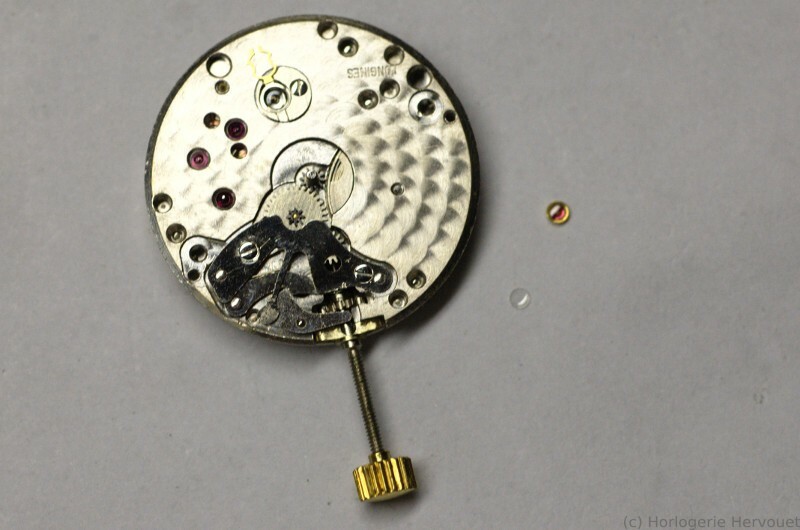 The coupling between the module and the mouvement is interesting: it uses a blue steel star shaped spring and Breguet teeth on both the mainspring ratchet wheel and the last wheel of the module. The coupling between the rotor and the module uses the same principle.